Can you believe there are SIX different Cricut cuts on this card? I used the new Close to My Heart Art Philosophy Cricut cartridge that's been my feature here and on Everyday Cricut this week. So, what are the six cuts? 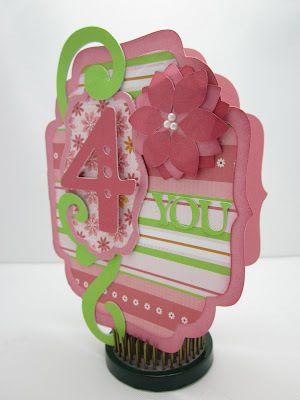 1) the card base and background - isn't this a cute shape? 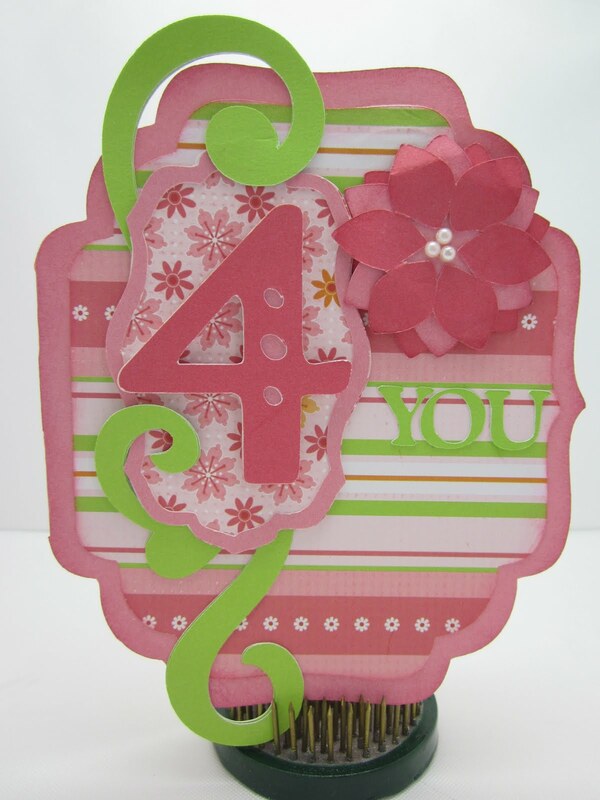 The paper used on this card is also from Close to My Heart and is called Sophie. I ordered mine from Melanie the other day ... can't wait to get it and start to play. Have to dust the cobwebs off my E2 first (bad crafter). Thanks for the inspiration. Your card is wonderful. Oh my this is so cute, you rock Joy!!! WTG with all these cuts! The card looks great- TFS! Thank you for the detailed instructions on your projects! Love the card and the swirls on it! I just love this cart. I think its probably like the CM Cheerful Seasons cart which is one of my all time faves because there is just SO much in it that can be used over and over again. Beautiful, beautiful card Joy. You guys are killing me with this cartridge! I want it but...$$$. TFS! !--Pat N.
I really love every card. 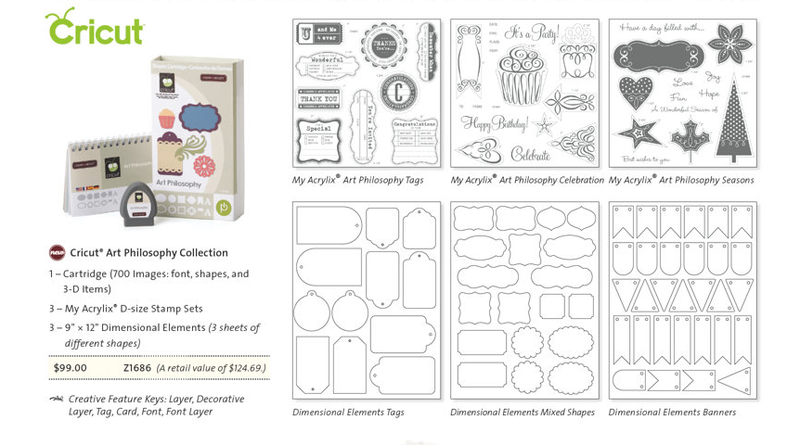 The Art Philosophy Cricut cartridge is super cool, NEED it. Very pretty card!! Love the cartridge!! What a terrific cartridge!It's reaching the top of my MUST have list! Very cute card. Love the Sophia paper! Love that card shape, very unique! And, of course, I love the colors you used - very pretty! I ordered mine from my local CTMH consultant can' wait to get it. Such a sweet card! . . . and to think it was all cut from one cart - amazing! Love the shape of this card! Love the colors too! Beautiful card and all cuts are from the same cart! Awesome idea Provo craft to partner with CTMH to create such an amazing cart! Cute card! I ordered this cart and can't wait for it to arrive! You've given us some great ideas for using it. Thanks. Gorgeous card! The shapes and papers are perfect! Love the colors. So nice. thanks for the ideas. Super cute card, I am ordering mine on the 15th! What a beautiful card! Wow what a wonderful bundle. So cute. Love this cart and looking forward to getting it.